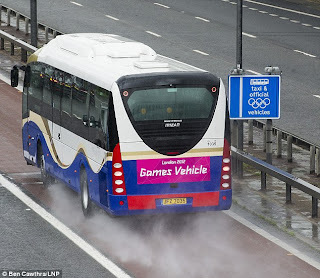 Confusion reigned on some of Britain's busiest commuter routes as the first dedicated lane for Olympic visitors opened between Heathrow and London. Drivers faced a £130 fine if they used the lane on the M4, which is reserved for the exclusive use of competitors and VIPs attending the Games. But the new regulations led to confusion on the A4 and the A40, where Olympic driving restrictions are yet to come into force.